Finally, we can confirm our Simple business SIM only mobile phone services is now live. Our simple Vodafone hosted Wholesale business mobile SIM service provides advanced call function capabilities while allowing small business an affordable and configurable business mobile telephone solution for businesses of all shapes and sizes. Our SIM only deals offer convenient packages of data, minutes and texts, so you’re free to choose a SIM card with unlimited minutes and texts or one that gives you loads of data. Plus, you can benefit from our SIM only inclusive roaming data bundles when you travel abroad. We believe the quality of our Simple unlimited based SIM mobile phone service should be a simple a possible, and as such, we don't tie you into long term contracts. Our Simple SIM mobile telephone service is provided on a monthly rolling contract and can be cancelled with just 30* days notice. 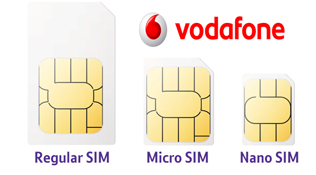 Choose from a range of SIM bundles - All on a 30-day contracts. User your UK allowance whilst in Europ. No extra monthly cost, charges at £3.00 per day whilst roaming. 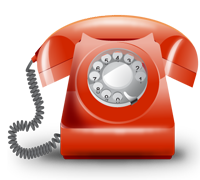 Using our Simple FREE RIPDialer App you can now ditch that second phone you use for business. The RIPDialer App will allow you to display any telephone number you legally own when making a call from your mobile phone. This could be your main business number, a personal business number, a departmental so you never have to display your personal number again when making business calls. 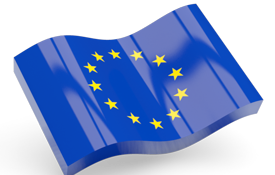 Our Simple SIM Euro Travel bolt-on allows you full access to your UK bundles and allowances while roaming in Europe, for just £3.00 (ex VAT) per day. If you make a call outside of the zone this will be charged at the standard roaming out of zone rates. If you exceed your UK allowances you will be liable to roaming pence per minute rates. User your UK allowance whilst in Europ. The opt in cost is a one off connection cost. There is No extra monthly cost. However there woill be a £3.00 per cost day whilst roaming. ***Please Note - Both Euro Travel and World Travel are daily roamimg services, and MUST be opted into at the time of SIM connection. Mobile telephone number porting is the ability to change your service provider whilst keeping your telephone number. Switching phone providers to Simple Telecoms allows you to keep your existing number. 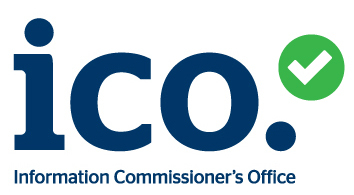 A cease/disconnection charge of £35 exc. VAT per SIM subscription is charged for SIM's under 12 months, PAC or disconnection. Connected SIM's over 12 months the cease fee is waived. The All In One offer is for new SIM connections only. Re-signs and migrations are currently exempt from this offer.